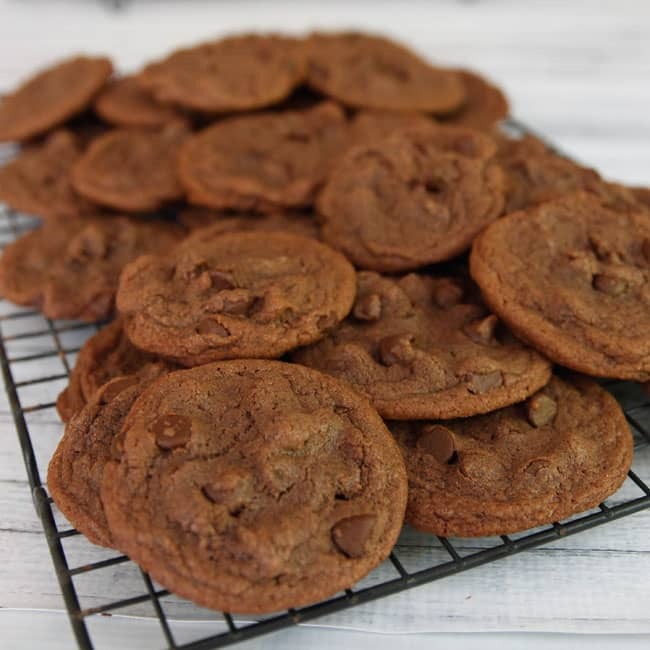 Double Chocolate Nutella Cookies - Chocolate Chocolate and More! 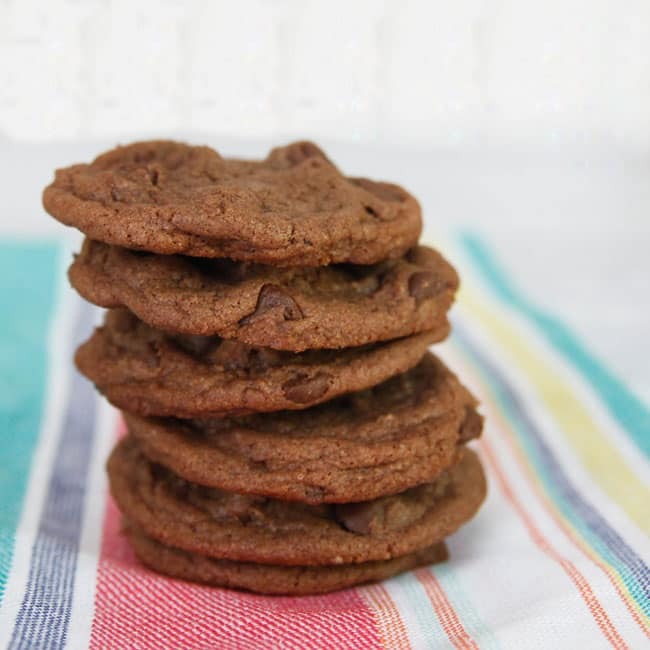 Double Chocolate Nutella Cookies-make these crisp chocolatey cookies with your favorite chocolate spread! As with most of my baking, I usually have no idea what I want to make until I open up my cabinets and see what ingredients jump out at me. Nutella is one of those things, you either love or hate. There’s no in between. For me, the strong hazelnut flavor takes away from the chocolate. I’m not a fan. My kids on the other hand, like it. Or they used to. A few years ago, we discovered Nutella. We were behind the trend. My sister was feeding it to her kids 10 years before I bought my first jar. My kids ate it like it would go out of style at any time. I’d stock up and buy 3-4 jars at a time when I’d find a good sale. And then they stopped. Just like that. As good as it is, Nutella will not last forever. Cleaning out my pantry, I had 2 expired jars. I mean really expired. 2011 expired. I should clean out my pantry more often. I blame my kids for not eating it when it was bought. I did have one jar with a few months left on it. I was not going to let it go to waste. Cookies were my quick solution. As much as I don’t like Nutella, I love these cookies. There is a slight hint of hazelnut but the bursts of semi-sweet chocolate in the chips, more than covers it. Still soft the first day, these cookies crisp up by the second day. 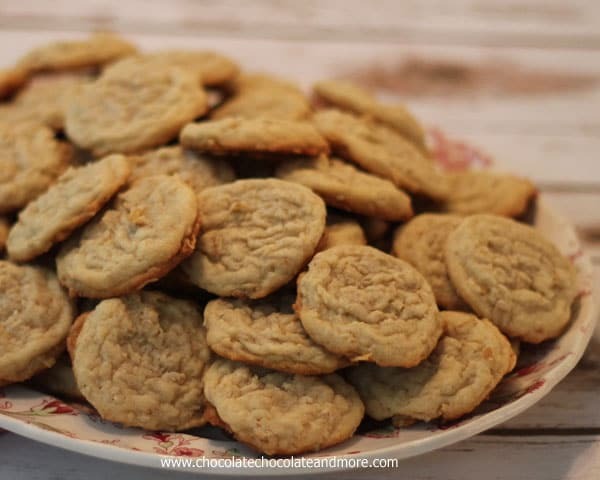 There may still be some Nutella left in the jar but these cookies disappeared fast! Cream Butter and sugars together until light in color, about 2 minutes. Add in Nutella and beat until well combined. Add eggs, one at a time and vanilla, beating well after each addition. Combine flour, baking soda and salt then add to butter mixture, until all combined. 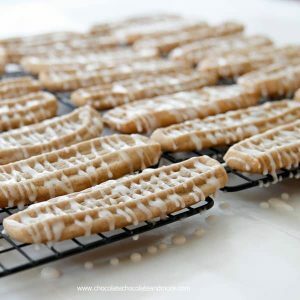 Spoon cookie dough onto a lightly greased baking sheet 2 inches apart using a medium cookie scoop. Bake in a preheated 350 degree oven for 8-9 minutes. 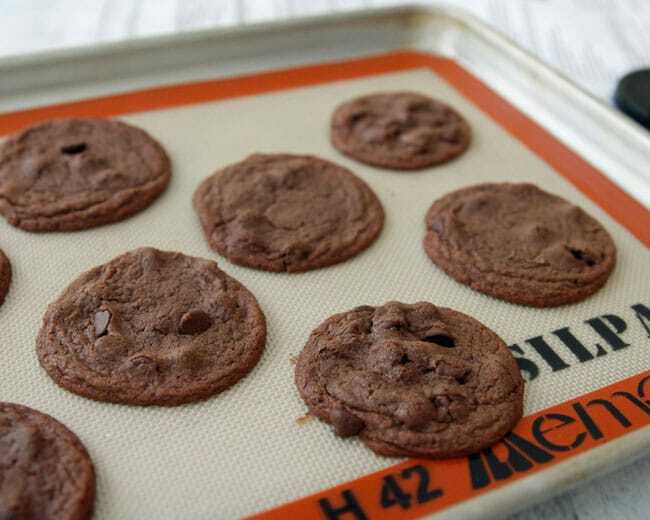 Remove from oven and let cookies rest on baking sheet before removing to racks to cool completely. 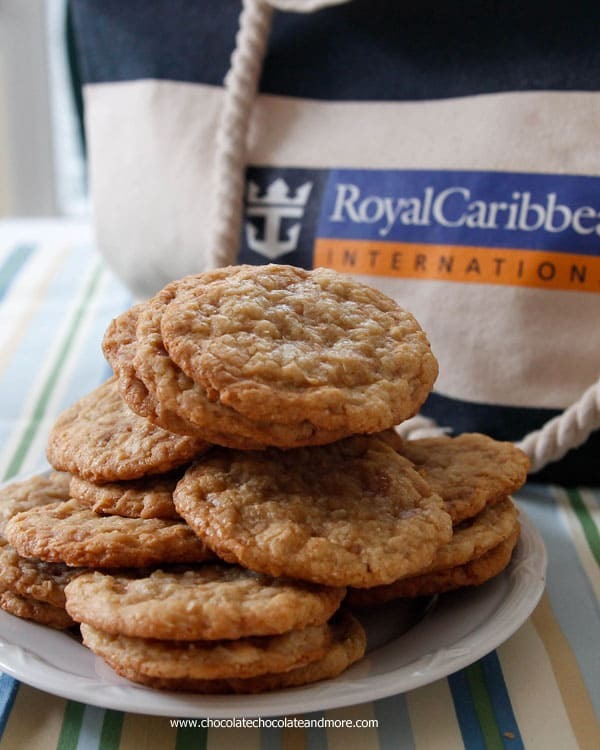 Want more great cookies recipes? just made these today, added a 1/2 hazelnut on the top of each cookie, the dough was lovely to work with, I used my hand mixer for most of the mixing, until the last half of flour to be added. 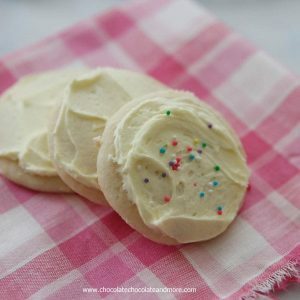 The cookies are divine! Soft and chewy. Oh gosh, 2011, that’s a good one! I love/hate finding those things in the back of the cabinet. I am glad you put it to good use, and I could for sure use a cookie! Would love one of these cookies about now! My son loves Nutella in cookies, on toast, on just about anything! Know these are divine!!! 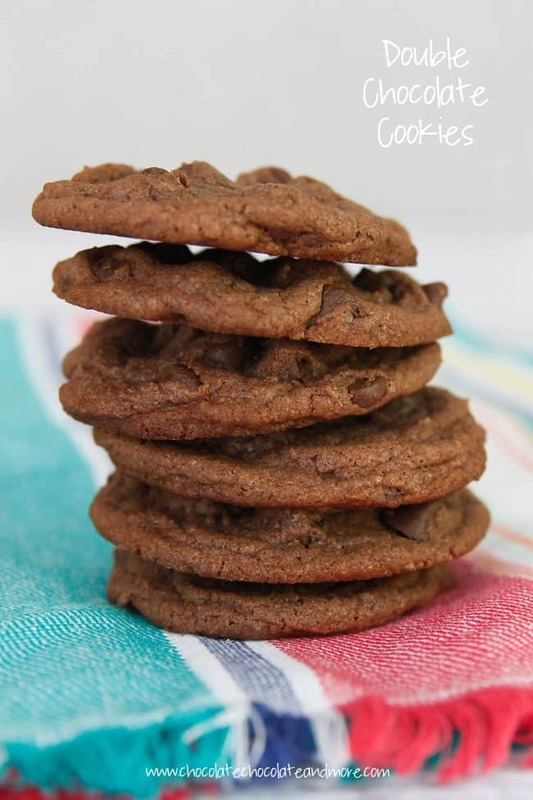 Ooooh these cookies are Nutella perfection!! !